Cool Clubs Australia : Do Grooves Impart Spin? Backspin is generated by the loft of the clubface not the shape, quantity or depth of the grooves on the club. When a ball is hit it gets compressed. This compression and the friction between the ball and the clubface cause the backspin. You can see in the video that the balls spin is imparted by contact with the face not through interaction with grooves. The ball obeys Newtons Third Law and rebounds in the opposite direction of the force acting on it. The higher the loft the higher the spin. As can be seen from these two videos a driver and wedge impart spin in exactly the same manner but at varying rates due to their loft not grooves. The ball does not roll up the face of the club but compresses then accelerates off the face with backspin. Clubs without grooves impart more backspin than clubs with grooves because they grooves reduce friction by reducing the area of the clubface in contact with the ball. The point of recent groove rules changes was to reduce spin by changing the shape of the grooves to reduce the surface area of the clubface in contact with the ball at impact. Grooves on a golf club act exactly like treads on a tyre. They are there to move water and foreign material, like grass or dirt, away from the clubface and ensure the ball does not aquaplane or skid across the club face. They are there because we play golf in the wet as well as the dry. What’s all the fuss about grooves then? Different grooves designs affect spin but they do so not impart spin they reduce it when compared to a grooveless club face. In wet or grassy conditions they assist more of the clubface to be in contact with the ball thus generating more spin. So why do clubs spin less with age? 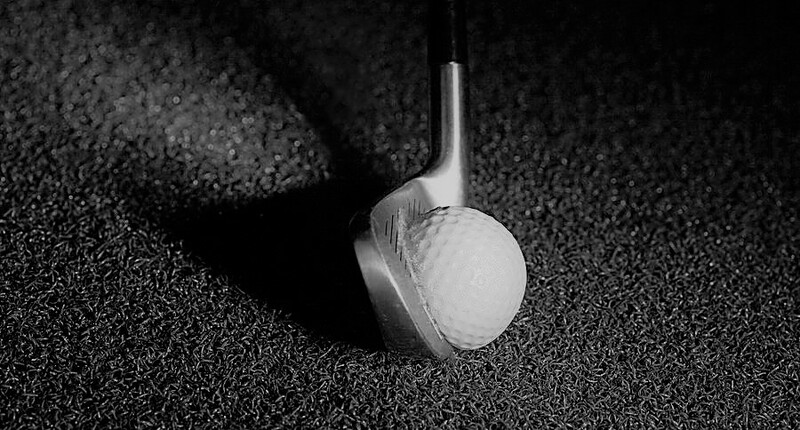 Over time, the clubface to ball friction reduces with wear. This reduction in friction plays a part in spin reduction. In the rough and in wet conditions the design of the grooves and their condition will decrease the likelihood of a proper strike.